Asda Accident Claims Guide – How Much Compensation Can I Claim? Asda has thousands of customers each day. Although shopping trips can sometimes be frustrating due to long queues or busy car parks, most of us leave unscathed. However, on rare occasions, shoppers can sustain injuries whilst in Asda. If someone else is to blame for those injuries then they may be entitled to claim damages as a result of the accident.Find out guide to Asda accident compensation claims below. What is included in Asda accident claims? What should I do if an incident at Asda caused me to have an injury? How to begin claiming compensation for an injury caused by an accident at Asda. I was injured in Asda whilst I was shopping can I claim damages? Am I able to claim for a car accident which occurred at the car park in Asda? What can I claim for after I have suffered an injury following an accident in Asda? What do most people who seek compensation from Asda claim for? What amount of compensation can I expect after receiving an injury following an accident at Asda? Big supermarkets are visited by large amounts of people everyday. Incidents do occur at large supermarkets but relative to the amount of visitors, the amount of incidents is negligible. As shoppers we do not expect our trip to the supermarket to result in a visit to the doctor following an accident that happens whilst we are there. If however you have suffered an injury and Asda or another shopper was the cause of this, then you might be eligible for compensation to pay for losses that you have suffered subsequently. This guide advises you about all the variables of a claim for compensation against Asda. The information in the guide also applies to workers who have been injured whilst carrying out their duties. Shoppers can benefit from this advice whether they were at a large Asda supermarket or a small store. The guide will advise you about what you can claim as well as giving you an idea how much compensation you may be entitled to, depending on the type and severity of any damage you suffered. The list of things that you may be able to claim for is broad. As long as an injury occurred on the premises of an Asda store, it can be considered for compensation. An item may have slipped off a shelf and hurt you, you may have slipped on water in Asda or another type of liquid, you perhaps had a fall in Asda or you may have been involved in a car accident in the car park. Some of the injuries sustained could potentially be quite serious. As long as you were not to blame for the injury then you may be able to claim an Asda compensation payout. Details of witnesses. In a busy supermarket it is likely that at least one individual will have been witness to your accident. Try to get the witness’s contact details so that we can get in touch with them for a statement at a later date if you decide to pursue Asda compensation. Ask for their name, number and address if possible. Details of the driver. If the accident involved another vehicle or car then collect the vehicle and driver details. If it was a company vehicle that was involved in the accident then be sure to get the contact details of the business as well. Go and see a doctor. To make a claim you may be required to provide medical evidence and therefore you should see a doctor as soon as possible after you have had an accident. Your injuries may not seem serious but an assessment will help you later on. Accident claims will organise a medical assessment on your behalf to support your claim but it is better to backup this later assessment with an initial check of your injuries as soon as you have received them. Take photos. This includes photographs of your injuries and photographs of where the accident happened. This can provide valuable evidence in your slip or trip fall claim. Make a written report. Asda accident books are there to be used by both employees who have had an Asda accident at work and also customers who have suffered an injury whilst shopping. Writing an independent report of everything you can remember is also helpful in case you forget something crucial at a later date. If you have suffered an injury at Asda as a result of an accident that was not your fault and you are seeking information on how to begin claiming compensation then please contact us today on our Asda accident helpline and we will be able to offer you no obligation advice. Contact us by phone if you wish to attempt to claim compensation for an injury that you received whilst shopping at Asda. One of our highly experienced team members will ask you some details about the incident and find out about the injuries you have sustained. It may feel like they are asking many questions. Don’t be worried by this, they are only attempting to find out the full facts about your injuries and the accident. You may have a lot of questions as well and we are here to answer those questions in the best way that we can. Our team are very friendly and will do their best to put you at ease, even if you are feeling nervous. After we have found out all the facts about the incident we will chat to you about our no win no fee policy. This states that we will not ask you to pay anything upfront. You will be asked to sign the agreement and we will arrange an appointment with a medical professional in order for us to have a report detailing your injuries, the likely recovery time and any other medical notes relevant to the case. We will find you a solicitor who is best suited to dealing with your case. We have experts in dealing with claims against Asda who are highly experienced in this field. The chosen solicitor will then set to work to get you the compensation you deserve. You may be entitled to claim compensation if a solicitor can prove that another individual was to blame for your injuries and that you were not at fault. For example if you crashed into a car in the car park and suffered injuries as a result you would probably not be entitled to claim compensation. However if another car drove into you in the car park then you would probably be able to make a claim against that driver. If you slipped in Asda compensation would probably be payable if a spill on the floor had not been indicated. If something fell on you during your shopping trip or you fell on a broken escalator then you should be entitled to claim compensation against Asda. Call the Asda accident claims number to chat about your accident and we’ll try and work out who was to blame. Once we have established blame we will be able to advise you whether or not you can make a claim for compensation. You were not trained properly which lead to a potential back injury at work claim. You may feel nervous to make a claim against your employer but you should not be. Check out our accident at work compensation case studies. Asda has insurance cover which will look after the cost of your compensation if they are liable. It is illegal for them to discriminate against you as a result of any claim that you bring against them. If you’d like to talk about this further or find out about the accident at work claim time limit then please call us and we can explain this to you in more detail. It is not uncommon for people to fall over, trip or slip in superstores. There may be wires trailing, boxes causing an obstruction or shelving which has become loose and is sticking out. However, employers have a legal responsibility to protect workers and members of the public against the risks associated with falls, trips and slips. 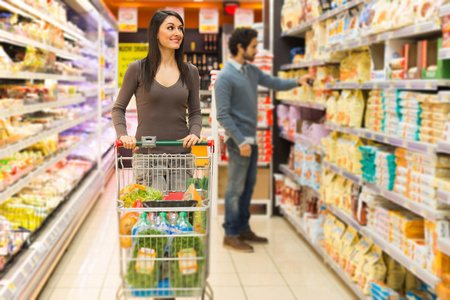 If the supermarket is to blame for your injury then you may be able to make a claim for your injuries. The injury may be minor or serious depending on how badly you have tripped or fallen. If you have been forced to have time off work as a result of a slip, trip or fall in Asda then you can claim for loss of income. Car park car accidents can be caused by potholes in the road, inadequate lighting or incompetent driving. There is a strong possibility that we can find somebody else at fault for the injuries caused by your accident. It may be a minor sprain or a broken bone or something altogether more serious if you have been involved in a collision. If someone else was responsible for your injuries which occurred in the car park at Asda then whether it was a major or a minor injury you are entitled to make a claim for compensation. We are here to help you establish who was to blame for the accident. General damages. This covers the pain and suffering you have experienced as a result of your specific injuries. Expenses for travel and medical attention. If you have had to pay for medication or travel costs to reach the appointments that you have needed to attend as a result of your injuries then you can claim expenses. Loss of earnings present and future. This compensation covers earnings that you have already lost due to your injuries and the earnings that you are likely to lose during the time that you are recovering. Our clients often ask us after they have been injured at work do I get paid whilst I am recovering? This will depend on your employment contract but if you are unable to attend work due to your injuries then you will lose out on income. The more you earned and the better your prospects for the future, the more compensation you will be entitled to as a result of time away from your job. Compensation for care. If your injuries have been serious or debilitating then you may have needed care whilst at home. In this situation your carer can claim expenses that have accumulated as a result of this care. This list is not exhaustive and there may be other costs that you are entitled to claim for. Call us to discuss this further. The key to a successful compensation claim is proving that someone else is to blame for your injuries. This could be somebody who works at Asda, Asda themselves or another customer. This is a list of common accidents which could occur at Asda. Again this list is not exhaustive and other claims may still be valid. Falls, trips or slips where there has been no sign to warn of wet floors or spillages. This lady claimed £550,000 for slipping on a mushroom in Asda. Obstacles in the aisles which have caused shoppers to trip. Injuries caused by damaged or faulty shelving. If you are still wondering whether your injury may mean that you are entitled to compensation then please call our team and we will be able to advise you. There is no straightforward answer to this question and payouts will usually depend on how serious your injuries were at the time and whether they will have an impact on your future life. Compensation will also depend on the amount of pain you have experienced and the financial loss you have suffered. There is no guarantee as to the amount of payment you may receive. However to give you a rough guide this table shows what the payouts have been for common incidents that have occurred in Asda. They may not all be applicable to you or you may find that more than one heading is relevant to you. If you are unsure which of these estimates would be applicable to you then we are happy to talk over the phone, please call us. We hope you can make some use of this information but please remember that there is no guarantee as each compensation claim is unique. less serious injury £few hundred - £525 Full recovery within 7 days. eg. fall, slip or trip. Minor injury to shoulder Up to £6000 Common result of falls, slips and trips. Maximum amount awarded for recovery times of around 2 years and minimum amount for injuries which resolve within 3 weeks. Moderate injury to shoulder £6000 - £9700 This usually involves frozen shoulder which involves pain and restriction of movement. recovery time can take a few years. Serious injury to shoulder £9700 - £14,600 Commonly awarded for dislocated shoulders and brachial plexus injuries. Both incur severe pain in the shoulder and neck. Severe injury to shoulder £14,600 - £36,500 Injuries resulting in pain and long term disability. Minor injury to neck Up to £6000 Causing pain and problems with daily tasks. medication is usually needed. Moderate injury to neck £6000 - £29,250 Fractures leading to spinal fusion and dislocations will pay out at the top end whilst the lower end is for injuries that have made existing conditions worse. Severe injury to neck £34,575 - £112,750 The bottom end includes dislocations, ruptured tendons, soft tissue injuries and fractures. Payment at the top end of the bracket is more serious life changing conditions such as paraplegia and spastic quadriparesis. Suffering and pain following injury £1000 - £200,000 This amount looks to compensate for pain and suffering that you have been subjected to as a result of the injury. Loss of future earnings £10,000 - £400,000 This covers loss of earnings if you can't work whilst recovering from you injury. If you have a high salary, the compensation could exceed this amount. Estimated benefit loss £5000 - £500,000 If you are not paid for being off work, this compensation will cover earnings that you have lost. If you choose to make a claim following an injury you may initially be put off by the fact that you are worried about how much it will cost you. At Accident Claims we have a no win no fee claims service. We will not ask you to pay a penny when you make your claim. If you are not successful in your claim then there will be no charge, you will not have to pay any legal fees. Whether you are an Asda customer who has suffered an injury whilst shopping or an Asda employee who has had an accident at work, no win no fee applies.We are happy to offer you any clarification that you need on this policy, give us a call and talk to one of our legal experts. Our legal team at Accident Claims have many years of experience. But we know that isn’t the only thing that makes us unique. After you have experienced an accident and suffered injuries you may be feeling very vulnerable. We understand the pain and suffering that you have experienced following an accident that was not your fault. You may have felt frustration and trauma. We promise to treat our clients with complete respect and understanding, always. We put customer satisfaction at the heart of our business and work very hard to ensure that you receive the maximum compensation available for your injuries. We want to help you secure a good financial future following your trauma. Personal injury law is our area of expertise. We will match your case to a solicitor with the best skills and experience for you to maximise your chances of winning. It really couldn’t be easier. Call our Asda Accident Helpline on 0800 073 8801 and speak to a professional member of our legal team who can advise you and let you know your options for claiming compensation. You may have questions about the type of compensation you can seek or are perhaps a wondering how much compensation you may be entitled to. We will do our best to answer your questions. If you wish to make the claim we will take down the details we need to begin filing your case. Why wait any longer? Call us now and let us help you claim the compensation you deserve. Find out how much compensation you could claim for a slip trip or fall accident get free advice today. Flooring in a supermarket can become slippy, leading to falls, but the HSE have compiled an advice guide with both long and short term solutions. There are a huge variety of health problems and injuries that can be sustained in Asda, and here is the NHS’s A-Z guide as to each condition. Retailers have a responsibility to both staff and customers to ensure their safety. Here, the HSE provides advice on how they could do so.